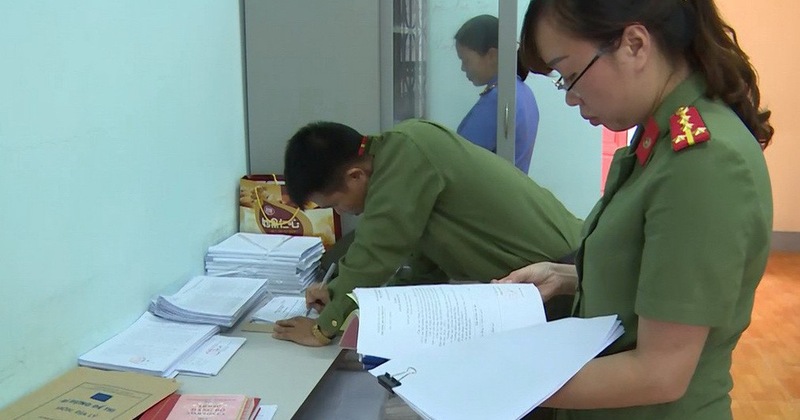 The Vietnamese Ministry of Public Security on Tuesday announced it would dismiss from its undergraduate institutions 28 students whose real scores in the 2018 National High School Examination did not qualify them for admission. These students were among 64 exam takers from the northern province of Hoa Binh who had their scores raised by insiders in a high-profile cheating scandal that shocked the country last year. With their manipulated scores, these 28 students were able to get into prestigious public security ministry-run institutions in Hanoi including the University of Firefighting and Fire Prevention, the People’s Security Academy, and the People’s Police Academy, for the 2018-19 academic year. As their real scores fell short of requirements for admission to these schools, their enrolment will be terminated with immediate effect, a representative from the ministry’s training department said on Tuesday. As an academic year usually begins in September or October in Vietnam, these students had completed their first semester at college by the time the decision took effect. Results of the National High School Examination, held every year around June, are used to determine whether a student qualifies for graduation from high school and acts as a placement test for college and university entrance in Vietnam. In 2018, nearly one million candidates took part in the three-day exam, where they sat for tests in math, literature, foreign languages, physics, chemistry, biology, history, geography, and civics. Suspicion of cheating was raised after exam results were released in early July 2018, with a police investigation that followed uncovering test score manipulation in the three northern provinces of Ha Giang, Son La and Hoa Binh. More than a dozen people, including education officials and a police officer, have been prosecuted so far in all three provinces on charges of abusing powers and positions while performing duties.